The original image is filtered through a constructed raster. The smallest element of the digital image, one pixel, is the base for the dividing up the horisontal and vertical lines which then is arbitrarily moved around within the image. The image still contains its original information. 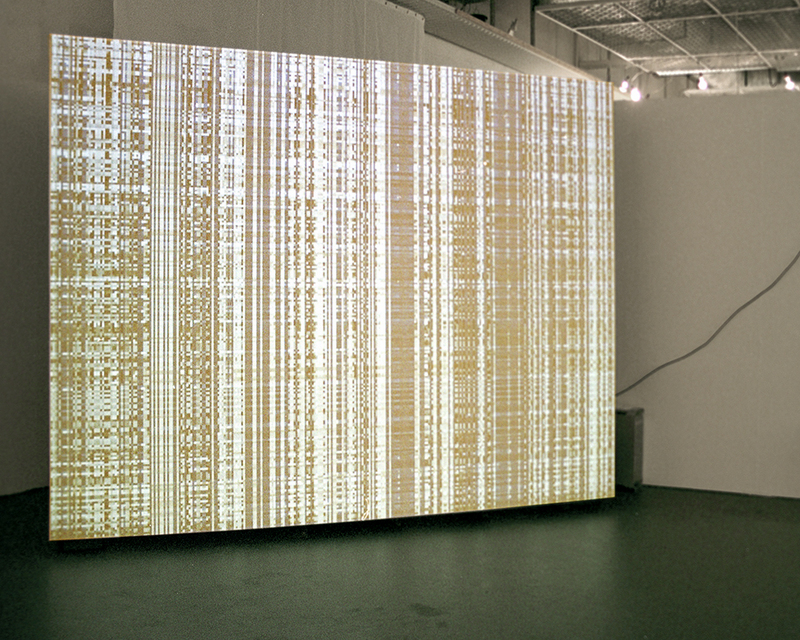 The piece is composed of incoming camera image obtained in the gallery itself, being processed in real-time, reorganized on the pixel level and projected onto a self-standing screen in 4:3 format. Being shaped as a grid a silent soundtrack of noise accompanies the shift of the image.